First, a disclaimer. 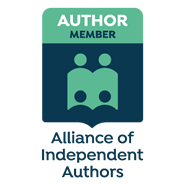 I’m a member of the Alliance of Independent Authors (ALLi), and so is Roz Morris. That’s as far as the connection goes; I’ve never met her, though I’ve seen plenty of her posts and know quite a bit about what she has to say about writing. I did not get this book free; I paid to download it, and I downloaded it because I wanted to read it. I have read a number of books by ALLi members; I’ve reviewed some of them and not others. My general rule is that I don’t publish a review unless I can give the book at least three stars (I made an exception last week for the latest Louise Penny book), but for ALLi members I increase that to 4 stars – if I can’t give an ALLi member’s book at least four stars, I don’t review it. (If you are an ALLi member, you know I’ve read your book, and yet I didn’t review it, now you know the reason). I have read a number of “How To” writing books – I imagine most writers have. Not many stick in the mind. Some were not very good at all, most were reasonably informative but forgotten after a while – and a very small number were absolute winners. This is one of those. I write about people. I mean, I also write about events, and ideas, but people are what come first. People are what most interests me. (If I weren’t a writer, you might even call me nosy). I think that comes across in my books; a number of people have told me how invested they became in my characters. Nevertheless, I learned an enormous amount from Roz Morris’s book. She’s very good on “show, don’t tell” and she has some great stuff on how you can show things through what your characters do, what they say and how they look. She is also very good on handling minor characters, which is where a lot of people fall down. Her background as a ghost writer and editor has equipped her, first to know how to create the characters she wants to portray and then to tell other writers how to do the same. This, obviously, is a book for writers. That doesn’t mean non-writers will get nothing out of it – even if you are not a writer, reading about how good writers create and portray characters will probably help you get more from the next book you read. 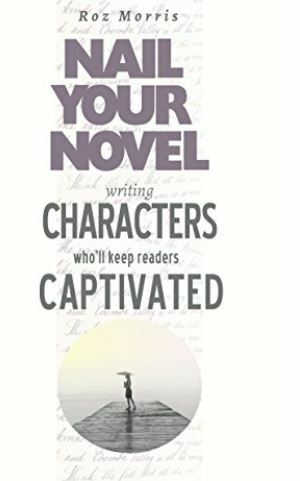 But if you are a writer then, unless you are among that tiny, tiny minority who never get a character portrait wrong, you need to read this book. You need to absorb what it says. And act on it.